Because Sometimes Our Best Friends Can't Tell Us Where It Hurts. Whether for work, play, competition or companionship, we rely on our horses to be their best. But when they need our help, relying on signs, symptoms, and observation may not tell us all we need to know. Directly measuring the acupuncture meridians provides superior, objective information to precisely pinpoint the source of the problem and the best acupuncture points to bring rapid resolution. 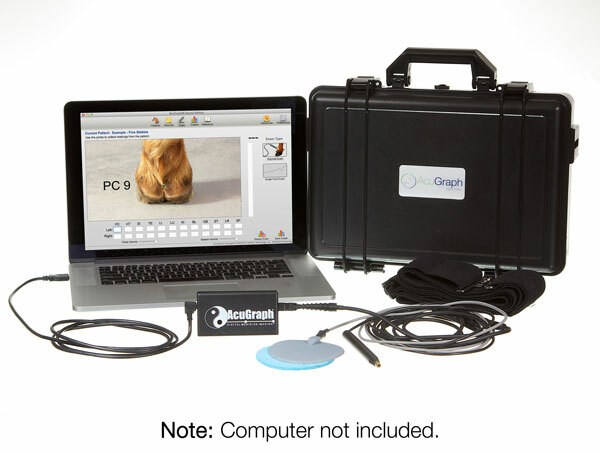 AcuGraph’s evidence-based approach gives horses the voice they lack, and practitioners the insight they need to get superior acupuncture results when performance counts. How will AcuGraph help my Practice? 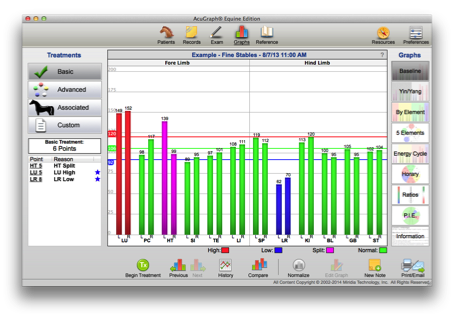 When you use AcuGraph in your equine acupuncture practice, you’ll enjoy many benefits that will take your practice to a new level. 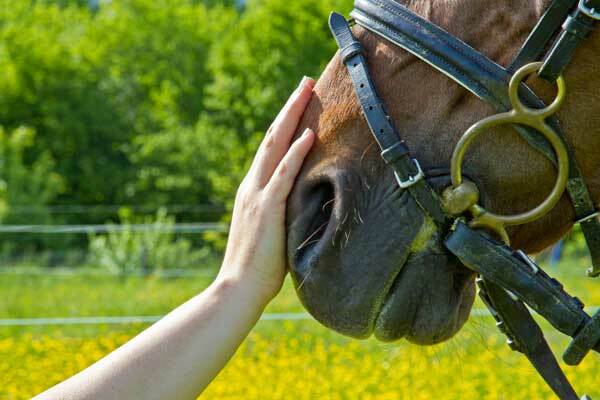 Let some of our users tell you their experiences with AcuGraph for Horses in their own words. Using easy-to-locate Ting points, the computer-guided AcuGraph exam quickly and accurately evaluates electrical properties of each of the 12 meridians, while audio and visual feedback keep you constantly updated throughout the exam. AcuGraph is easy to learn and a snap to use. AcuGraph’s objective evidence gives you complete information about exam findings in a variety of formats. 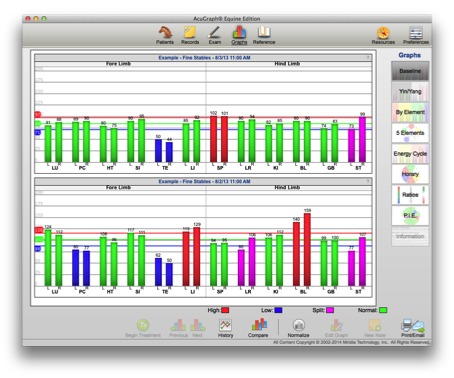 Eight graph styles plus written information mean you’ll know exactly what’s happening in the patient’s meridians, and you’ll instantly pinpoint areas of concern. Visual evidence gives you a common point of reference for working with trainers and owners, while documenting treatment progress. Seeing is believing. 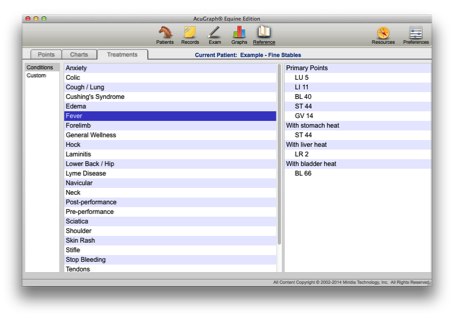 AcuGraph turns objective exam data into comprehensive treatment plans to address the whole patient. A variety of treatment styles and recommendations put you in charge by giving you choices. Best of all, you’ll know why each point is recommended and what it will accomplish. 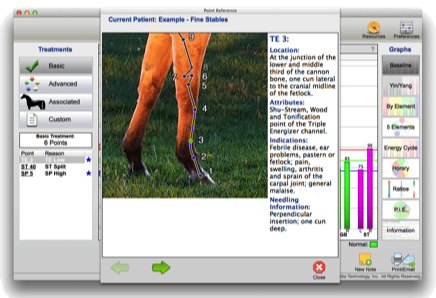 AcuGraph also gets you the information you need in a complete equine acupuncture reference section with meridians, points, and symptom treatments beautifully illustrated. Every point includes location, function, and needling information. 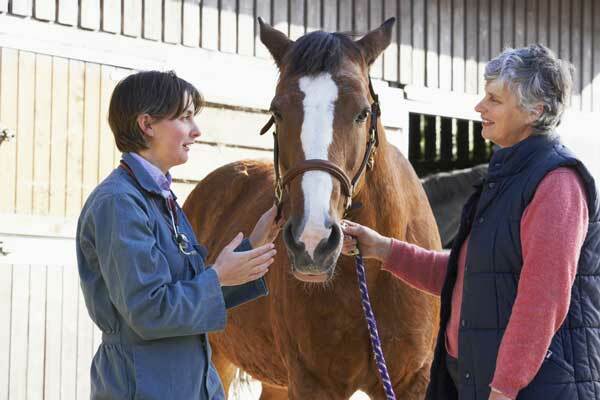 Treatments for all common equine problems are instantly at your fingertips. AcuGraph’s clear, concise reports get animal owners on board fast with graphics and explanations to show exactly what’s wrong and how you’re helping their horse. 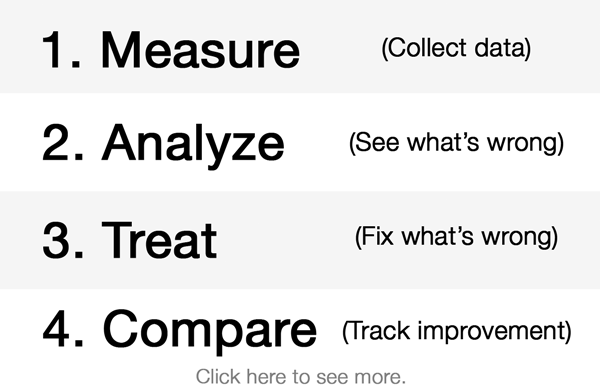 Before-and-after comparisons objectively demonstrate improvement after care. Email or print reports for owners, trainers, or your own records. AcuGraph reports are an effective business builder—owners love proof! 1-year hardware warranty with free replacement. In the unlikely event of an equipment problem, we’ll replace your system immediately. 90 Days of installation and technical support, including live remote help while you watch. Extended warranty and tech support packages are also available.